There are thousands of plastic injection molding companies around the world, but here at Micron, we like to think we approach things a little differently from the rest of the crowd. One of those differences is that we do our plastic mold manufacturing in-house as opposed to outsourcing this job. This allows us a high degree of quality control throughout the mold-making process, and helps to address any questions or issues on an injection molding project before the mold is created. But that’s just for starters. Below, we’ll take a walk through the 10 steps of our plastic mold manufacturing process so you can better understand what it would be like to partner with Micron. 1. We start with working drawings of the product from our customer. The drawings our customers provide help us to understand what materials the mold needs, what tolerances the part will require, and more. If the customer has requested an unachievable part tolerance, we’ll explore alternate options together before moving forward. 2. We qualify the part using an online 3D modeling program. Using the specifications from the drawing, we design the mold online. Everyone on our plastic mold manufacturing team reviews the tool design and makes suggestions for improving it before the design is complete. 3. We determine the appropriate steel grade. Type 101: Will exceed 1 million cycles. Type 102: Not to exceed 1 million cycles. Type 103: Not to exceed 500,000 cycles. Type 104: Not to exceed 100,000 cycles. Type 105: Not to exceed 500 pieces. 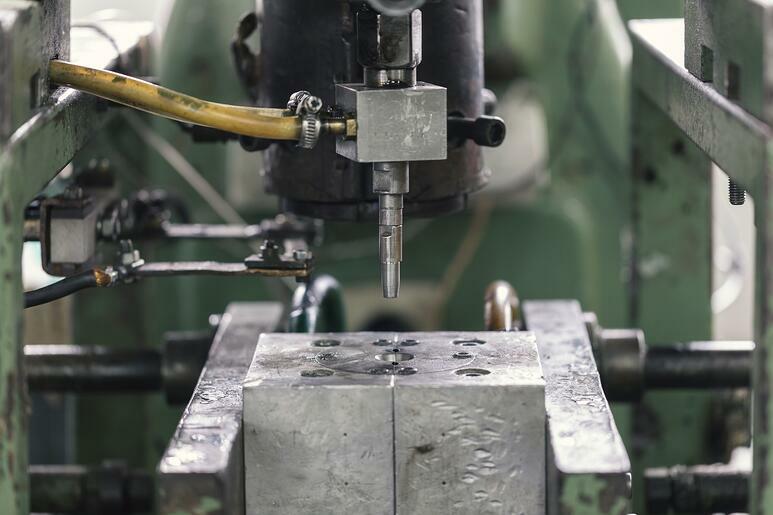 Drawing from vast experience, our engineering team recommends a mold type based on the customer’s part requirements, the volume of parts needed each year, and more. 4. We outsource the manifold and mold base. We partner with third parties that specialize in creating the manifold (the cavity used to inject plastic into the mold) and the mold base (the foundation the tool is set in) for each of our molds. 5. We rough out all the steel. Next, we “rough out” the steel for the mold, meaning we remove steel until we get very close to the final shape we want. 6. We send out the steel to get heat treated. The steel for the mold is then shipped to another specialty third party heat-treater, where it is the material is conditioned to a 48-50 on the rockwell scale. 7. We manufacture the mold. The heat-treated steel returns to Micron, and the manufacturing begins. We use tooling or an electric discharge machining (EDM) to cut or burn the required molding shape into the steel. We also add an ejection mechanism that will push the plastic part out of the mold after it’s created. 8. We add the finishes to the mold. During this stage, we polish the mold, cut and grind pins to fit the tool, and ensure it’s ready to hit the manufacturing floor. Once it reaches this point, we give it a thorough review to ensure the part tolerances match expectations. 9. We test and validate the mold. Once the plastic mold manufacturing process is complete, our stringent quality control process starts. This is especially critical if the mold will be used to create parts in the medical, automotive, or defense industries. In addition to checking off requirements specific to each part, we check the mold’s dimensions against the customer’s drawing. We also evaluate how the molded parts fit together and make any slight adjustments that are needed. 10. The part is ready for its first run-off and production! Do you want to learn more about plastic mold manufacturing and our plastic injection molding process? We’d love to answer your questions. Fill out the form at the bottom of the page and we’ll be in touch with you shortly.